This week we began our Easter theme. We started to learn a new German song "Stups, der kleine Osterhase". We startes to make our Easter baskets. The children have chosen to make either a woven basket or an Easter chick. On Friday we visited the Deutsches Museum. The children had a wonderful time building with big blocks and tubes. They also enjoyed exploring how the different wheels turned with cogs and belt chains. The preschool children learnt the letter ‘R’ and the new song. They found objects that started with ‘r’. As it is school holidays, there will be no sports lessons next week. After the Easter break we will only have sports lessons on a Wednesday afternoon for those children who are not sleeping in the afternoons. A timetable will be displayed in the cloakroom for parents to sign when they can help walk children from sports hall back to kindergarten on Wednesday afternoons. As discussed in the Parent’s meeting, starting on Monday, we are introducing a new routine for drop off. Please bring your child into kindergarten and let the teachers know what time they will be picked up. Then say a quick goodbye to your child. The kindergarten teachers will ensure your child hangs up their coat, changes their shoes and washes their hands for the start of the day. Thank you. A list of times when teachers are absent is now displayed in the cloakroom. 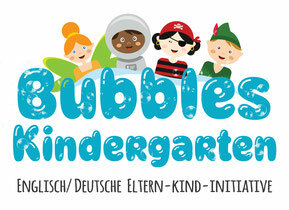 Please sign up when you will help in kindergarten. Thank you.